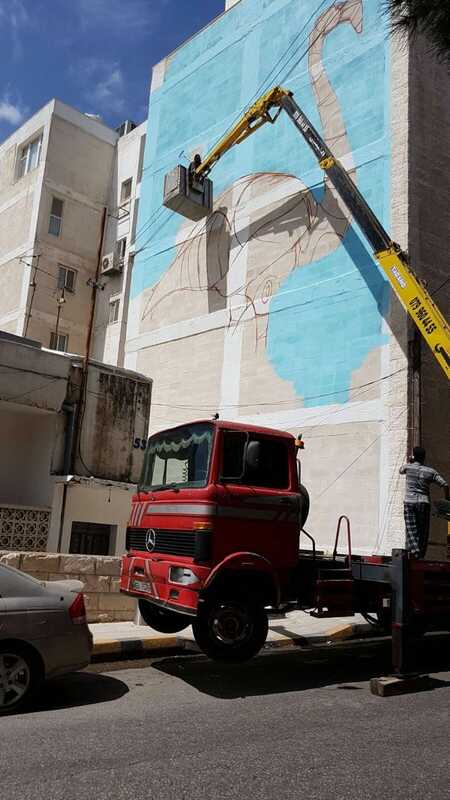 You might recognize this mural if you ever had a stroll around Lweibdeh. We worked on this fun project with artist Suhaib Attar and building owner Faisal Tutunji with an aim to add colour to the neighbourhood. Attar, the artist behind this masterpiece has built his reputation from his extensive experience in adding color and spirit to Amman’s buildings. 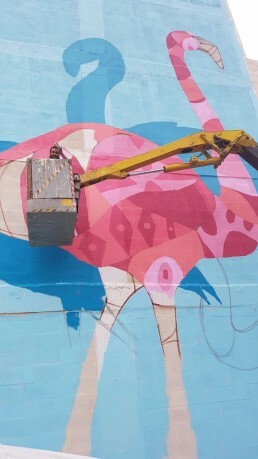 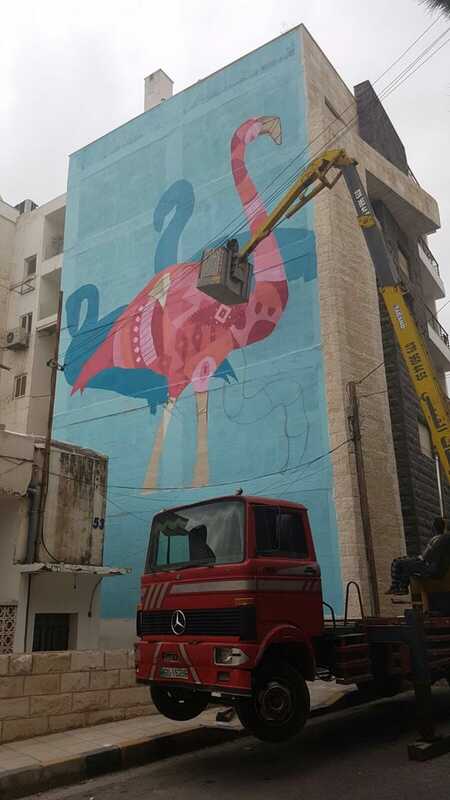 We had the idea to paint a figure of the passionate and famous Flamingo, with silhouettes of it’s flock around it symbolizing the supportive community in Jabal Lweibdeh, as well as some greenery that the flamingo is enjoying to add the essence of nature in the street. 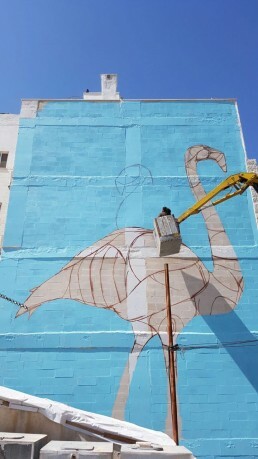 What does a Flamingo bird symbolize? 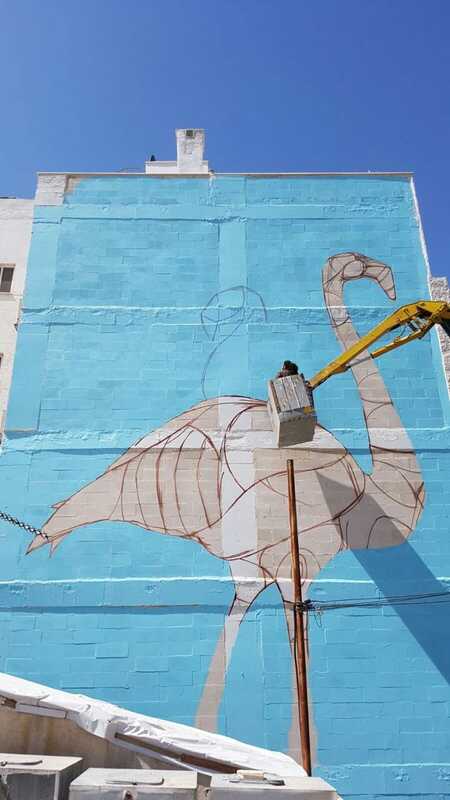 You never see a flamingo alone, it is always surrounded by tens or sometimes hundreds of other flamingos. This shows us that it is a social bird as well as it’s supportive qualities to one another that protect them from any predators.